I know I have been absent, as of late, but there has been a whole lot going on! My family and I made a rather large move, moving from "The North State" to the "Central Coast". Relocating our home and business was quite a task! Things are finally all unpacked, and we are settling in quite nicely. Enjoying the change in landscape, and the beautiful sunsets! If you follow me on Instagram, you are familiar with my latest sky obsession! Now about another big change for me.... For some time now, I have been tinkering with making sculptures and lamps out of industrial components, repurposed parts, and vintage finds. I have been sketching and collecting for a couple years now. Upon relocating, I started talking about my ideas to my good friend, Aaron. 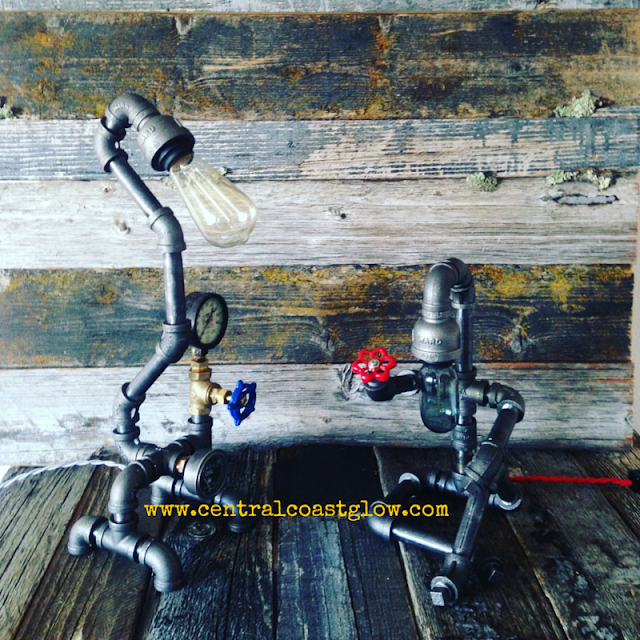 He is a local electrician, like my husband, and has always wanted to get in touch with his artistic side. 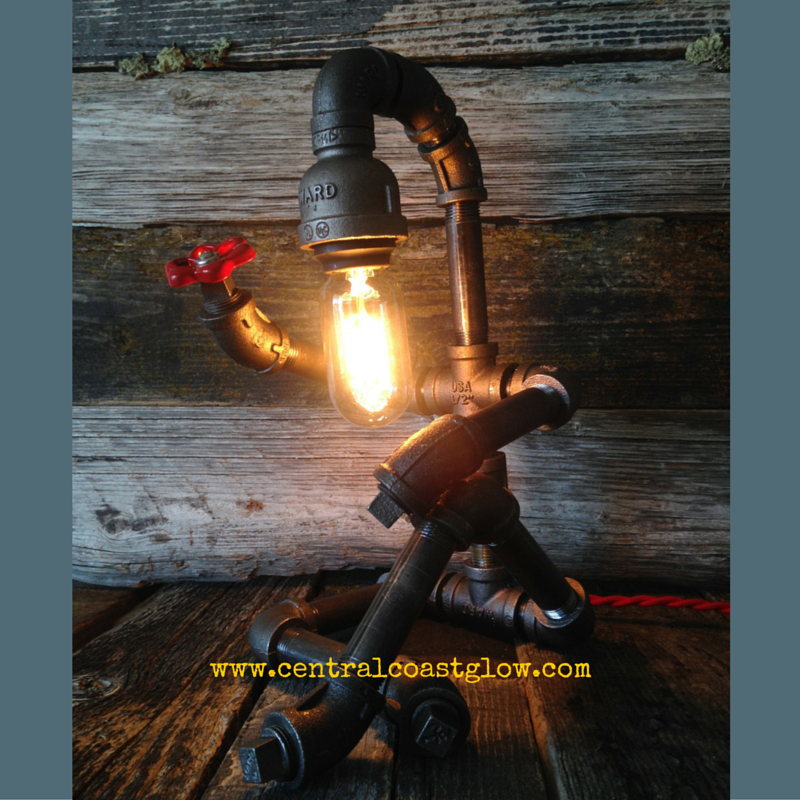 Well long story short, we decided to embark on a new adventure, and Central Coast Glow was born! As you may already know, I have a passion for things from years gone by. At a young age, I fell in love with "all things vintage". I owe this passion to my grandmother, she had an antique shop, so from a very early age she would take me on "picking" adventures. This instilled an appreciation for the hidden treasures that can be found in thrift shops, yard sales, and flea markets. Hitting the pavement isn't the only way to find vintage gems, you can shop for that "perfect something", in the comfort of your own home, in your pajamas! 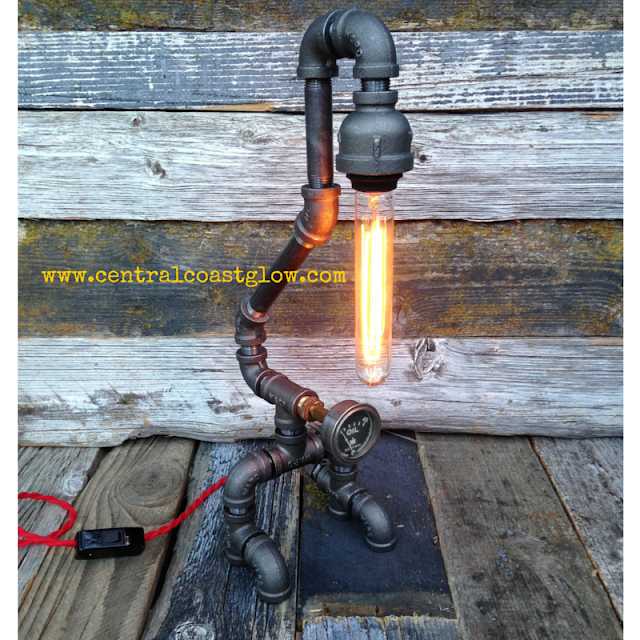 If you haven't already, you have to search through the many shops on Etsy. 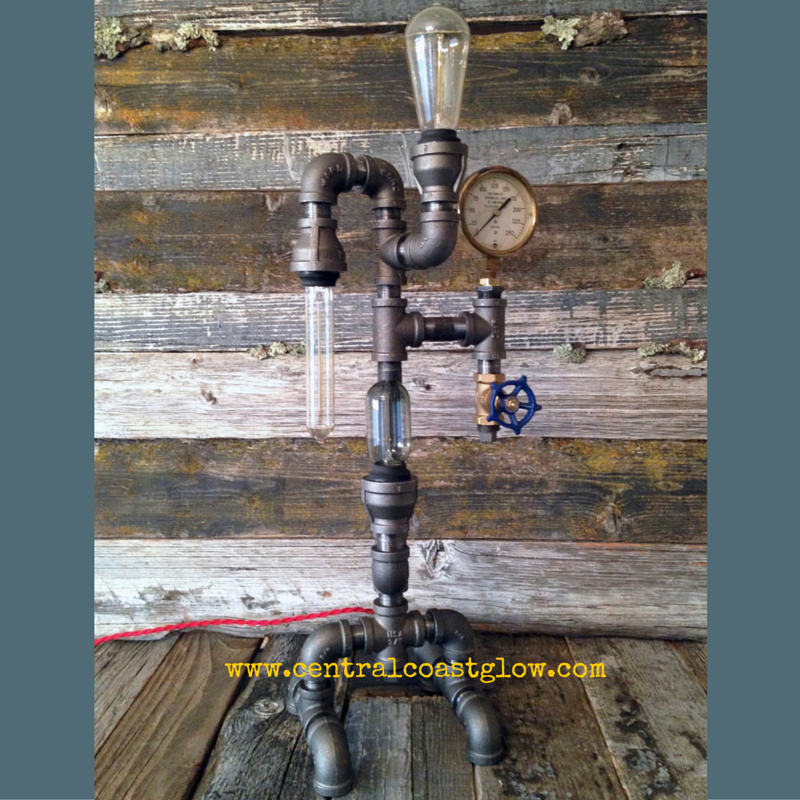 It is the perfect place for all things vintage, because it only contains vintage or handmade items. And it's also a really great way to show your love & support to small businesses and their owners! So take just a few minutes, and check it out. 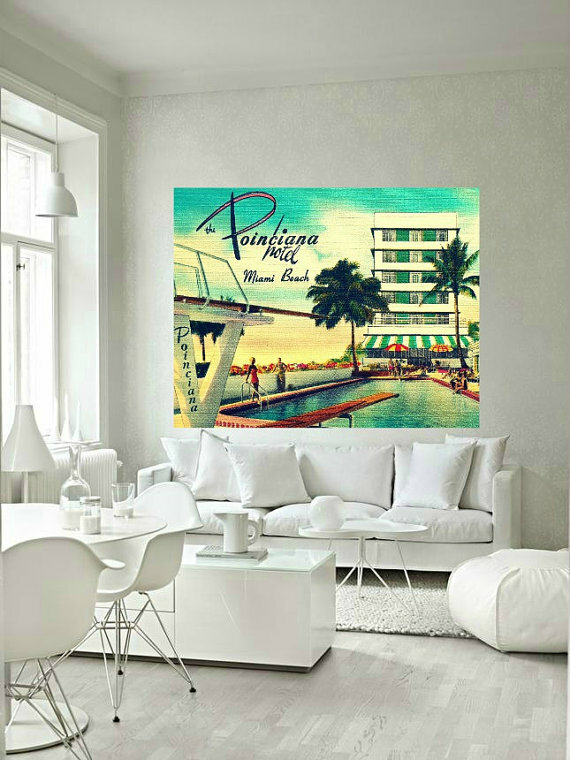 I absolutely love the Mid Century flavor of the art by Vintage Beach, like this Miami Poinciana Hotel Print. 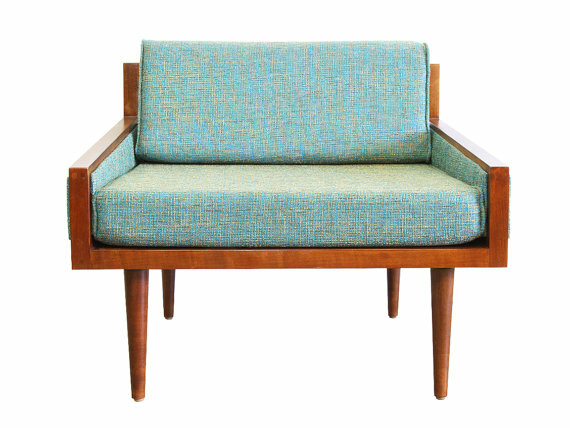 Shopping for the perfect Mid Century Modern Arm Chair? Look no further! 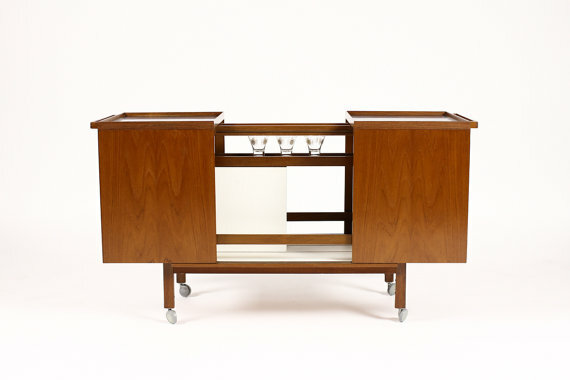 Or how about a Swanky Bar Cart for your next shindig? 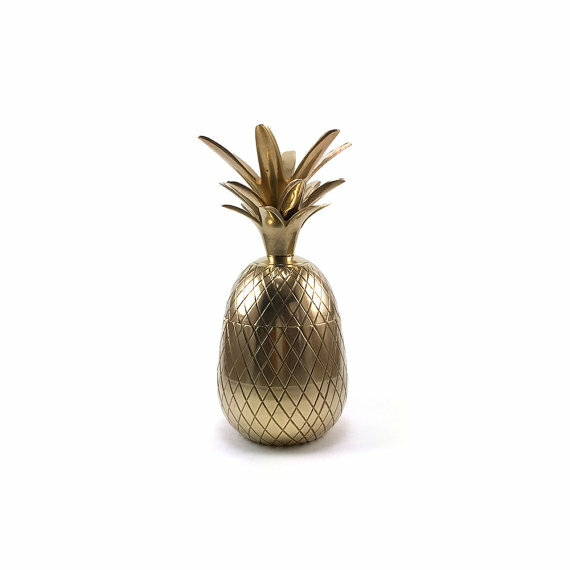 Now you need a few things to adorn the top of that lovely bar, how about a Brass Pineapple? 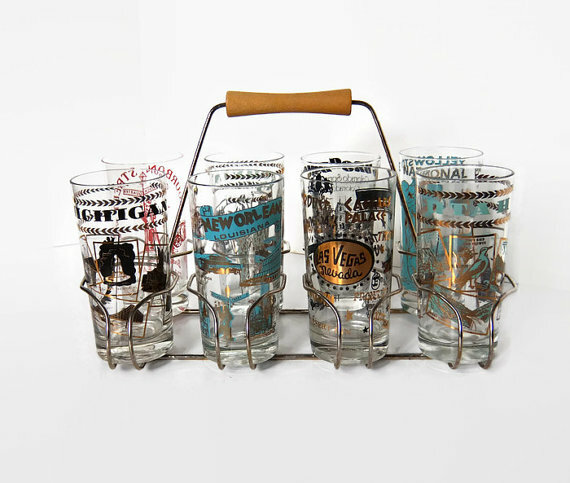 Or some Souvenir Bar Glasses? 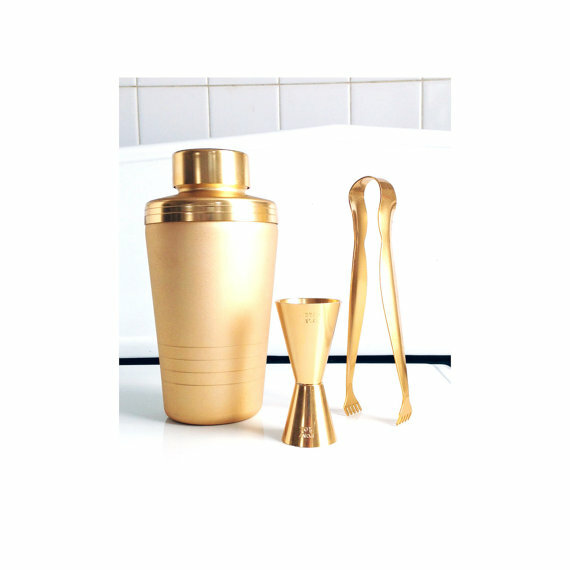 A Cocktail Shaker Set, perhaps? Need to know when to shout out, "last call"? 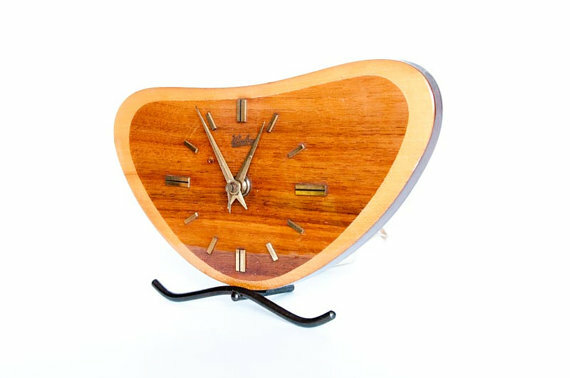 Keep time with this Vintage Clock. This is just a small sample of the many wonderful things you can find on Etsy. Oh, and beware, Etsy can be very addictive! Happy shopping! I am obsessed with Esme Minerals Lipstick! So many lovely colors! Two of my favorites are Rosita & Flambe. The Rosita is part of her Lip Tint collection, and I love the gold undertones. I wear this almost daily, as it softens & conditions my lips. So silky! The Flambe is part of her new, more vibrant collection, and it is a wonderful bright coral color. It is quickly becoming my new favorite, for when I want a kick of color. 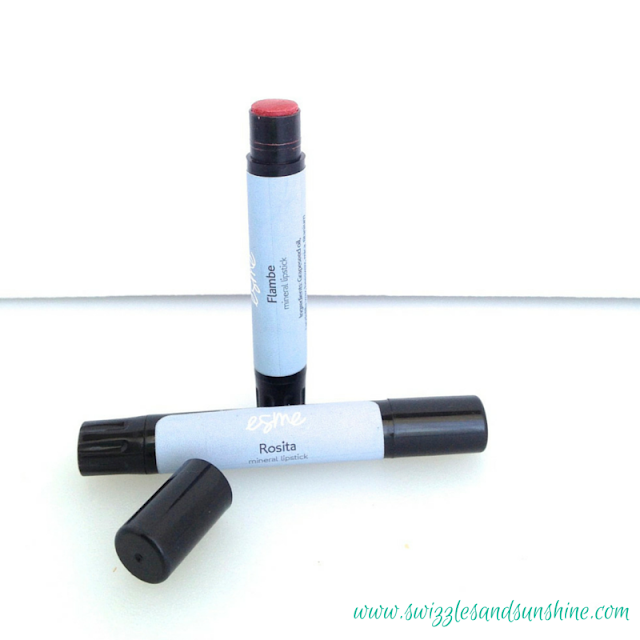 Another plus, she uses all natural ingredients, so your lips feel great while wearing it, and for hours after! Gotta love & support small business. Love, love, love Esme Mineral Makeup! Keep up the good work! 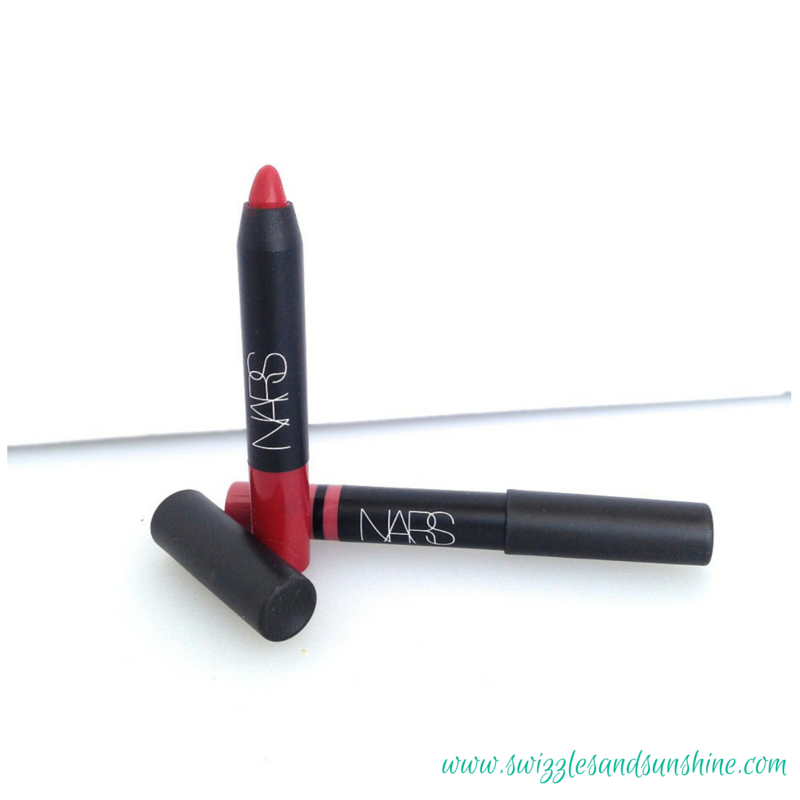 Now let's talk about NARS. I recently picked up my new favorite Red Lip Pencil at Sephora. If you are into the Classic Red Lip, the "vintage pout", you just gotta try the Velvet Matte Lip Pencil in Cruella! This pencil is awesome! I was truly impressed with how creamy and silky this felt. Not your typical dry pencil! And this stayed vibrant for most of the day! Great job NARS! A perfect addition to my vintage wardrobe! I would love to hear about any of your favorite lipsticks, please feel free to share! Happy National Lipstick Day!